Right before the Thanksgiving holidays, the auto industry received some sad news. The founder of the nation’s largest privately owned auto dealership group passed away on Tuesday, Nov. 20, in Kansas City, Mo. Cecil Van Tuyl, founder of Van Tuyl Group, began his career in the used-car business and opened his first new car franchise in 1955, a Chevrolet dealership in Kansas City. Earlier this year, the Van Tuyl Group ranked No. 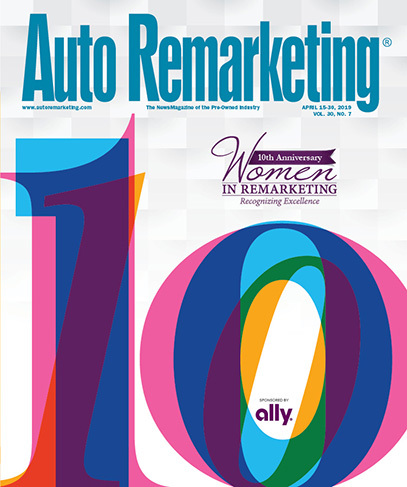 5 on Auto Remarketing's Top 125 Used-Car Dealer Groups ranked by 2011 used retail sales, and was the highest-ranked private group on the list. Many in the industry expressed their respect for Van Tuyl as the news of his death was released. "It's not overstating matters to say that Cecil Van Tuyl was a true legend in the world of automotive retailing," said Mark Reuss, president of General Motors North America. "From the very day he opened his first store, a Chevrolet franchise, nearly 60 years ago, he was an exemplary dealer, and an exemplary human being as well, one who will be dearly missed." Van Tuyl was seen as a “pioneer” in the auto industry, as he began acquiring multiple dealerships and hiring talented managers and making them minority partners in the business. First, his son, Larry, joined him in 1971, and they grew the Van Tuyl Group together. Van Tuyl was known for his business philosophy centered around his belief in the development of people, officials shared. Van Tuyl was know to say: "The better people you surround yourself with, the better you are going to do for yourself and for your consumers." But it wasn’t all business for Van Tuyl. Cecil was married to his wife Ruby for 64 years. He enjoyed time with his children, Paula and Larry, his five grandchildren and two great grandchildren. Van Tuyl was an avid sportsman who loved hunting, fishing and the outdoors, officials shared. "Cecil represented the best of the auto industry … a driven entrepreneurial spirit and a deep desire to assist everyone he knew to succeed. The business lost a great man today," said Bob Carter, group vice president and general manager of Toyota. Alan Mulally, Ford's president and chief executive officer, also expressed his condolences: "Our thoughts and prayers are with the Van Tuyl family. Cecil was a valued member of our One Ford team and we are grateful for his leadership, partnership and friendship." Dealers can learn more about stocking quality units and holding gross in retail, in the next National Auto Dealers Association Webinar, set for Wednesday at 1 p.m. EST. Joining the free NADA Webinar will be Mike Platts of Carfax, to offer dealers insights on the Carfax Price Adjustment that is included with a Carfax Vehicle History Report. The tool can help support a dealer’s asking price, identify high-quality units customers want, and help dealers ascertain the right price to pay to acquire them, the company says. The Webinar will last approximately 45 minutes; registration is open to anyone. To register for the Webinar, go to https://nada.webex.com/nada/onstage/g.php?t=a&d=766466310. Next month, Sanford Auto Dealers Exchange has a sale on tap that may help dealers not only shore up their used inventory, but aid in their holiday shopping, as well. On Dec. 18, SADE is hosting a 2,000-vehicle sale that will also include $50,000 in gifts for customers. The two grand prizes are a 1987 and a 1993 Chevrolet Corvette convertible. “We enjoy creating a holiday spirit here at Sanford Auto Dealers Exchange and showing our dealers how much we appreciate their business,” said Jeff Brody, SADE’s vice president. Offering his perspective, SADE president Mike Tumminello pointed out that even in a challenging economy, transportation needs remain important. “We work closely with dealers to help managers and owners increase the value of their organizations and grow their enterprises through our auction consignment,” Tumminello said. Kelley Blue Book unveiled the 2013 model-year vehicle winners of its Best Resale Value Awards this morning and dominating the competition were Toyota and Lexus. For the second straight year, this pair swept the Best Resale Value brand rankings, with Toyota winning among the non-luxury makes and Lexus taking top honors in the luxury category. Not only that, Toyota and Lexus combined to win 10 of the 22 vehicle category honors. Before the awards were announced publicly, Auto Remarketing caught up with KBB’s Eric Ibarra to talk about this year’s crop of winners. When asked why Toyota and Lexus dominated like they did, Ibarra said many other brands are likely wondering the same thing. “That’s a question that probably all the other brands are asking,” he said. But there’s no secret ingredient in the recipe for resale value success. Ibarra — KBB’s director of residual consulting — boiled it down more succinctly, pointing to the product value and incentive discipline. These brands have shied away from heavy incentivizing practices, Ibarra said, and the result has been that their used-car values are higher. Of course, there have been significant hurdles faced by these brands in recent years, perhaps most noticeably the vehicle recalls and the Japanese tsunami. In fact, Toyota and Lexus values are “even above their historical average,” Ibarra said. Granted, part of that has been helped by the shortage of used supply. The basis of the awards are projections from the Kelley Blue Book Officials Residual Value Guide. Winners are those vehicles projected to hold the strongest percentage of original MSRP after five years of ownership. It does not include low-volume vehicles or those with an MSRP higher than $60,000 (except for the high-performance and luxury categories). Of course, Toyota and Lexus weren’t the only ones generating accolades in KBB’s honors. Honda won four vehicle categories and had two of the top 10 cars for resale value. Meanwhile, the Civic and CR-V were also among the top 10 models for resale value. “Honda is similar to Toyota in that they understand the impact of marketing decisions on used-car values,” Ibarra said, adding that Honda actually controls used supply better than Toyota by maintaining a low rental fleet. He also said Honda limits its incentives and conducts value pricing. KBB notes that residual values used for award calculations are based on the November/December 2012 Kelley Blue Book Residual Value Guide. Just before Thanksgiving, the Federal Reserve Board and the Consumer Financial Protection Bureau announced increases in the dollar thresholds in Regulation Z (Truth in Lending) and Regulation M (Consumer Leasing) for exempt consumer credit and lease transactions. Officials said these increases are consistent with the Dodd-Frank Wall Street Reform and Consumer Protection Act amendments to the Truth in Lending Act and the Consumer Leasing Act, to adjust these thresholds annually by the annual percentage increase in the Consumer Price Index for Urban Wage Earners and Clerical Workers. The agencies indicated transactions at or below the thresholds such as used- or new-vehicle deals are subject to the protections of the regulations. The Fed and the CFPB noted the adjustments to the thresholds reflect the annual percentage increase in the consumer price index as of June 1 and will take effect on Jan. 1. Based on the adjustments announced last week, the protections of the Truth in Lending Act and the Consumer Leasing Act generally will apply to consumer credit transactions and consumer leases of $53,000 or less in 2013, according to officials. “However, private education loans and loans secured by real property (such as mortgages) are subject to the Truth in Lending Act regardless of the amount of the loan,” the agencies said. Although the Dodd-Frank Act generally transferred rulemaking authority under the Truth in Lending Act and the Consumer Leasing Act to the CFPB, the Fed retains authority to issue rules for certain motor vehicle dealers. “Therefore, the agencies are issuing these adjustments jointly,” officials said. In addition, the CFPB is separately adjusting the dollar amount that triggers additional protections for certain home mortgages under the Home Ownership and Equity Protection Act of 1994 (HOEPA), as required by statute. Consistent with the increase in the consumer price index, officials said the dollar amount of the HOEPA fee trigger will increase to $625 for 2013. No matter the media buy — print, direct mail, email, television, radio or online — one veteran dealer marketing executive believes there is one metric principal managers need to watch when it comes to promoting the store, inventory, special campaigns and more. “I know when we look at an ad budget for a dealer, it isn’t so much based on what they spend. The metric we use is the ROI on the money spent. We’re not so much in favor of cutting budgets as much as we’re in favor of increasing your return on your investment,” said Rob Mudd, president of Mudd Advertising, which has helped guide dealers through the advertising world for more than three decades. Along with Mudd, Auto Remarketing reached out to several industry leaders to get their take on a host of issues from reputation management to compliance. With technology advancing quickly, dealers now have a host of choices of how to utilize their advertising resources. The entire package, including strategic commentaries from Paul Potratz and Kathi Kruse, are contained in the Dec. 1 print edition of Auto Remarketing, a tool managers and dealer principles can use to plan for 2013 and beyond. If you don’t already receive the print version of the industry’s leading publication, contact circulation director Lisa McGraw at lmcgraw@cherokeepublishing.com to get set up for a free subscription.